Although considered part of the Alps, Ventoux noticeably stands alone from any other peaks, a characteristic which only adds to its enormity! Combine this with the gentle landscapes and tranquility of its local neighbourhood, Provence, and it’s little wonder this mountain appears to dominate the region. 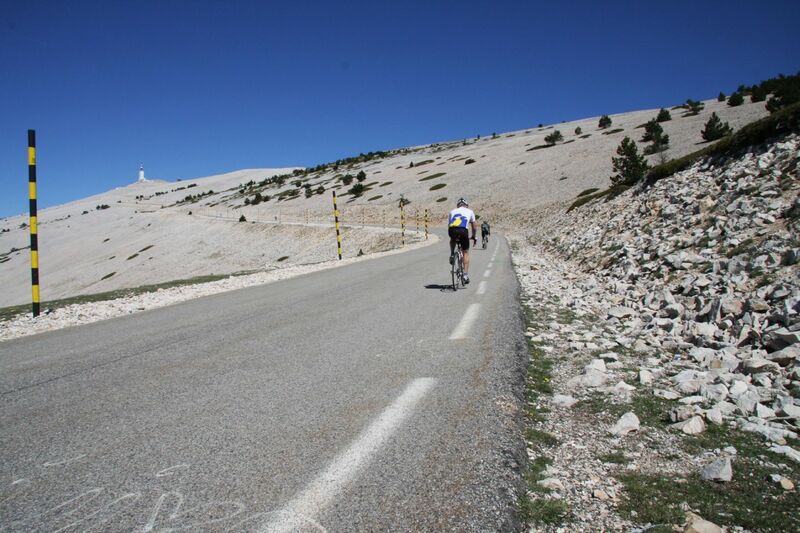 Featuring ascent gradients of up to 8.9%, Ventoux is certainly tough on both the legs and the mind. You’re going to need all your strength to take on this beast, but with so many looking to sample a slice of riding glory, you’ll be in great company, with plenty of encouragement to see you through to the top! The strikingly barren summit of Ventoux seems a fitting end for your climb up to the sky, which many say is an almost lunar-like landscape. Ofcourse, your newly foudn elevated position also gives you access to soak up the incredible views accross Provence. 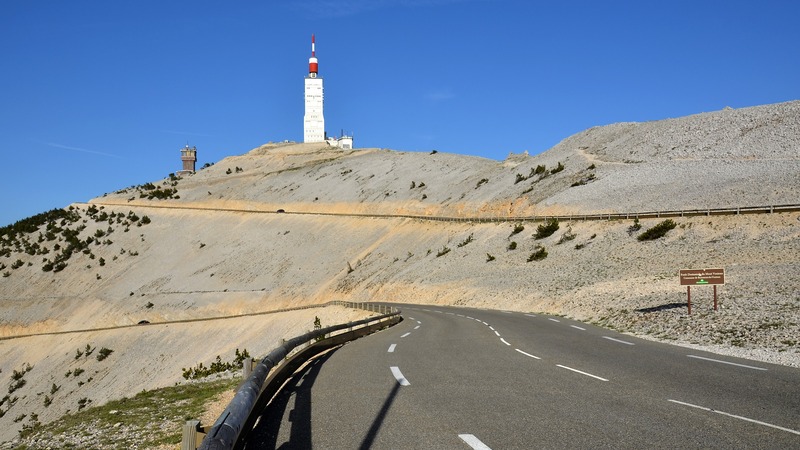 With iconic status and rewarding riding at it’s core, Ventoux is somewhat of a mecca for many cyclists and the achievement of conquering this climb puts you right up their with some fo the best riders in the world, an opportunity to really claim yourslef a ‘King or Queen of the mountain’. Ventoux has it challengers for severity (Angliru, Mortirolo), prominence (Mount Etna, Puy de Dôme), otherworldliness (Col d’Izoard), altitude (anything over 1,911m) and legend (Alpe d’Huez, Col du Tourmalet) but the Giant of Provence rolls all these characteristics into one, making it a Tour icon and a bucket-list tick box for cyclists the world over. – Cycling Weekly, The Giant of Provence: The magic and mystique of Mont Ventoux. Read more from Cycling Weekly here. Here at Skedaddle we want to make sure that all of our skedaddler’s have the opportunity to ride like a pro, should they wish! Our Mont ventoux to Alp d’Huez offers road cyclists the chance to tackle some of the Tour de France’s most iconic cycling routes, including Mont Ventoux on your first day of riding – talk about kicking a tour off in style! 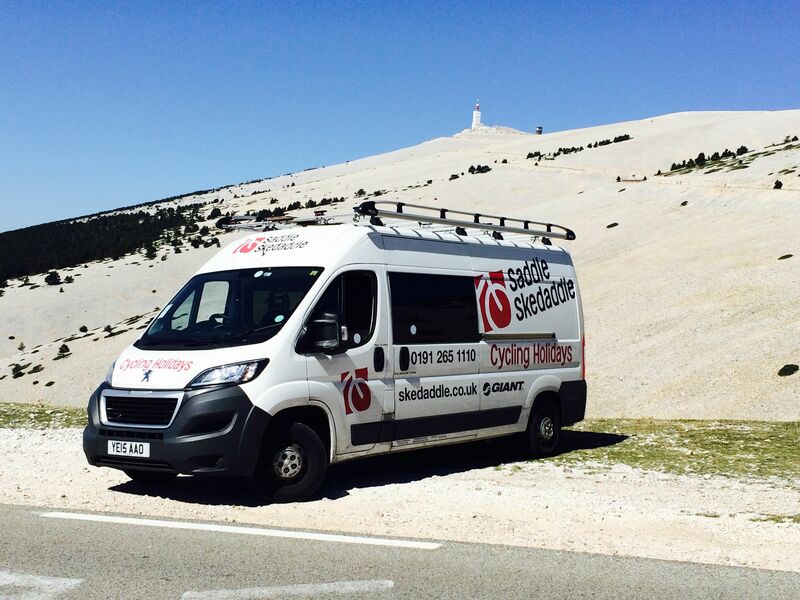 For more information about our road cycling holiday tackling Mont Ventoux click here.